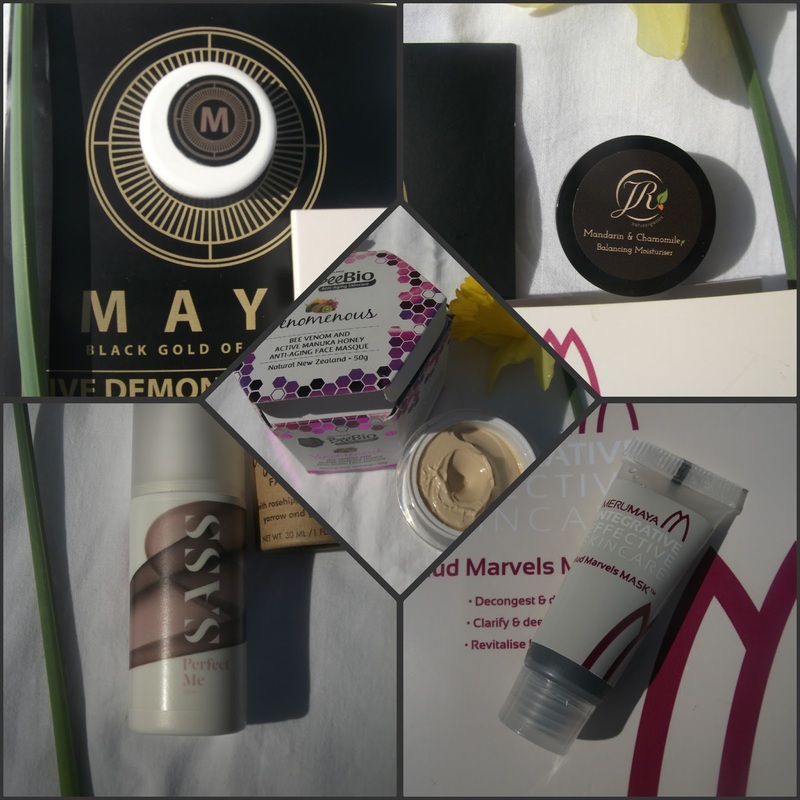 March Beauty Blogger Box - #Review ! Good afternoon!! 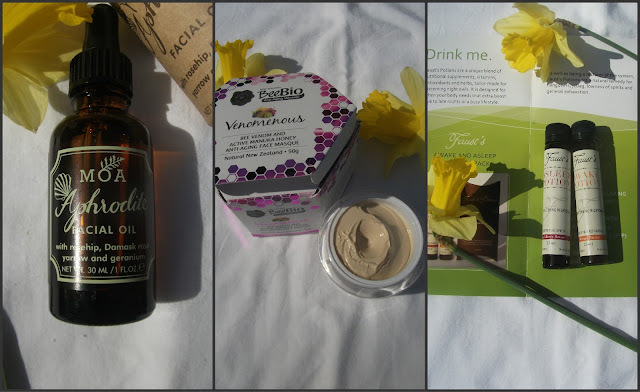 Welcome back to Writing & Rambling, today as you may have noticed, I have another Beauty Box #Review for you! 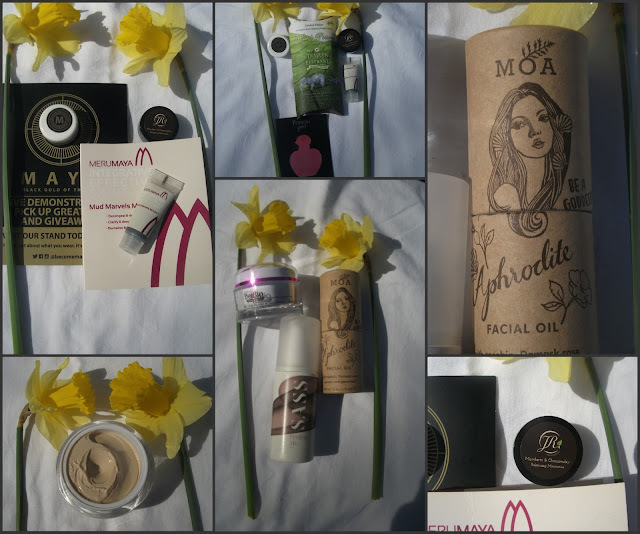 I reviewed the January Box and was so happy with it, I went ahead and put in an order for the March Box....and I for am SSOO pleased I did! It was jam packed FULL of products, including 4 full sized ones!! Amazing value for money, as I'm sure alone they would have cost more than £10!! I shall go through each of the products in turn and as there are quite a few, I suggest you get a cup of tea, sit back and get stuck in!! I have not tried anything from Merumaya before, but have heard a lot of bloggers rave about their products, especially the exfoliating toner! So to see this little sample in the box made me smile inside! "...it's powered by activated charcoal and volcanic ash to deeply cleanse and detoxify skin. skin feels the relief of being refreshed, without being stripped...."
This definitely seems like something I can get on board with I love finding skincare which does my skin good instead of making it feel tight and stripped of all it's lustre! "..Activated Charcoal extracts toxins, deep cleanse and unlock pores and Volcanic Ash draws out impurities to give your complexion a firmer, smoother and brighter appearance.."
"...oat oil, sweet almond oil, vitamin E and cocoa butter combine to support the skin's natural lipid barrier, improve moisture retention and leave the skin feeling luxuriously soothed and smoothed.."
Brilliant!! I shall be sure to let you know how I get on once I try it!! JR Naturorganics - Mandarin & Chamomile Balancing Moisturiser - Sample. Another one I hadn't heard much about before is JR Naturorganics. They are a British Skincare brand who use naturally organic ingredients to make their products. 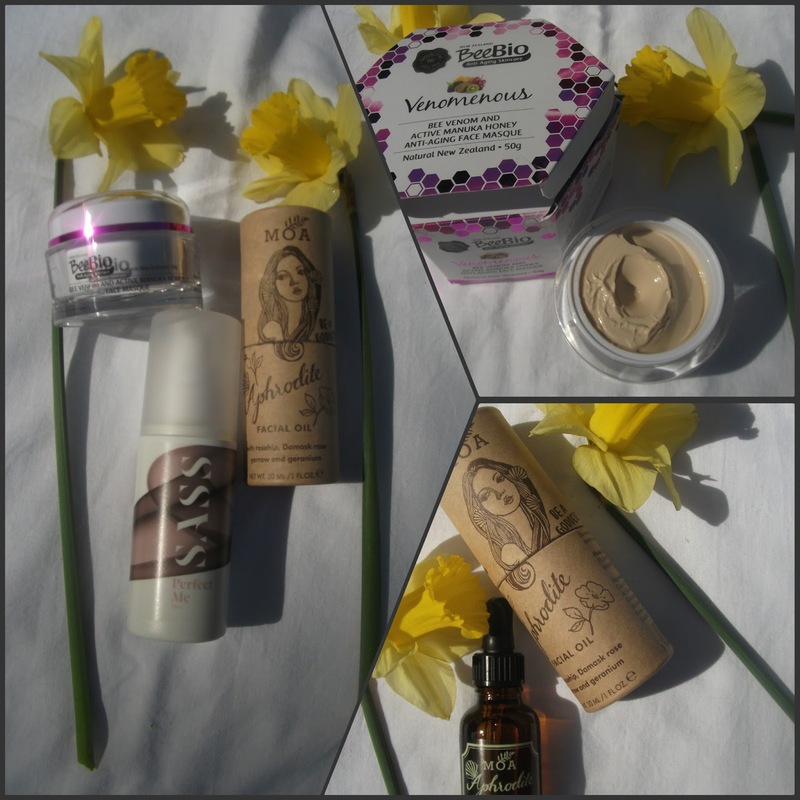 "....they are proud to offer skincare that is handmade in England, not tested on animals and vegan friendly... taking pride in offering a skincare range that is free from synthetic ingredients....."
I am finding more and more that I am loving natural skincare so I can't wait to try it out and see how much my skin loves it! Maya - Styling and Curling Crème. Maya Styling and Curling Crème is designed for those of us with curly hair. Unfortunately I do not have curls in my hair so I'm not sure this will work for me but I'm willing to give it a go anyway and see if some of the 12 essential oils in it can provide some nourishment to my hair! ..."Maya Confident Curling & Styling Crème is a premium hair product, delivering long-lasting curls and endless styling. Maya also provides solutions for dryness, lack of moisture, frizz and damage..."
BeeBio - Venomenous Face Masque. This is why I love Beauty Boxes, because you get introduced to so many new brands and products!! This brings the total of new items up 4 so far, but actually the whole box is full of products that I've never heard of! Brilliant! This Venomous anti-aging Bee Venom active Manuka Honey face masque is suitable for normal, dry and aging skin. It is rich in concentrated anti aging ingredients including bee venom, medical grade active manuka honey AND anti-oxidant packed plant extracts to stimulate cell growth and reduce free radical damage within the skin. Kiwi fruit extracts lighten the skin, reduce redness, age spots and freckling. "....This multifunctional anti-aging treatment masque with BeeBio's exclusive ingredients works to quickly tighten, firm and renew the skin and help diminish the appearance of wrinkles, dark spots and dullness, improving skin tone for a smoother, radiant and youthful looking appearance...."
I love a good moisturising face mask and this looks like it will do the job perfectly!! I love Manuka honey as it can do so many amazing things for your skin, as it's very healing. I'm very excited to try this out and will report back once I have done!! Now I loves me a good facial oil. I am especially addicted to my Rosehip Oil from Trilogy. I used to think (when I had oily skin) that you needed to stay away from oils, but I have since found that the opposite is true. I have used my Trilogy Rosehip Oil religiously since then and even more so since my skin type's changed to dry/dehydrated. 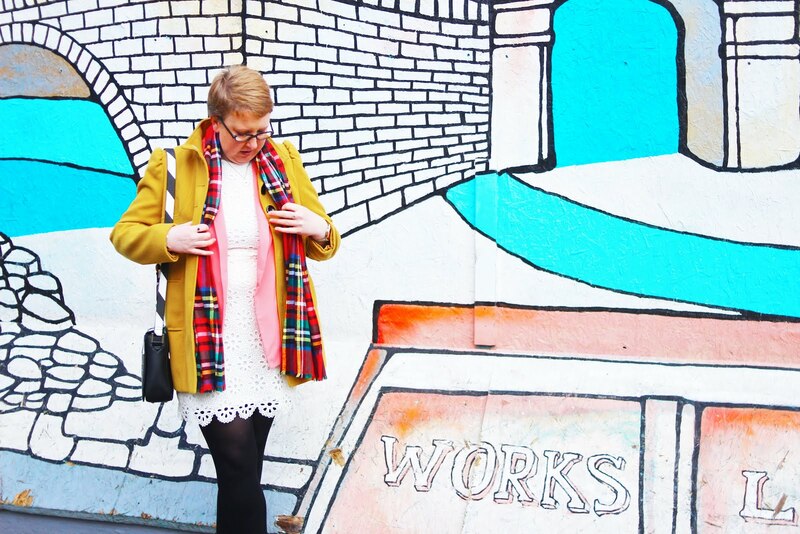 I find it works amazingly well in my routine and am always on the hunt for my next bottle! "....a magical blend for radiant skin; this easily absorbed beautifying facial oil helps to smooth fine lines and ward off premature ageing with its nourishing rosehip oil base. Rosehip oil is rich in vitamin A, C and essential fatty acids, its natural skin regenerative properties have been revered in folklore over the centuries all across the globe..."
I am looking forward to trying it and I cannot wait to report back to you if I find it better than my Trilogy one!! Sass - Perfect Skin Concentrate. This magical cream is meant to prevent ingrowing hairs after shaving your most delicate of areas. The one problem with shaving is the ingrowing hairs and how quickly the hair re-grows. Sass Perfect Skin Concentrate helps to minimise that! "..Did you know that a surprising 56% of women don’t have an intimate skincare routine…SASS® therefore decided to offer a different approach to intimate skincare, the revolutionary SASS® products have been designed not only as a cure to a specific problem, but more importantly - for everyday use..."
"41.5 percent of women suffer from ingrown hairs and a further 53 percent of us don’t know how to avoid them..."
I am hoping this can help to relive the itch I suffer after getting a bikini wax!! Not to mention the occasional red bump...! Not pretty...! I'll report back once I've had a chance to use it! Faust's potions Awake + Sleep Potions. Something completely new to me here! These are two vials of liquid which are designed to be taken before bed and upon waking. "Faust's Potions are a unique blend of nutritional supplements, vitamins, antioxidants and herbs, all tailor made for discerning night owls. It is designed for when your body needs that extra boost due to late nights or a busy lifestyle." They are particularly good for hangovers, jetlag, lowness of spirit and general exhaustion. The Awake potion is orange flavoured and the Sleep potion is red berry flavour. I have yet to try these out and to be honest I don't know what to expect really, except maybe feeling a bit more awake/ready for sleep!? I'll get back to you...! Phew!! That was a long one.....just shows how super stuffed last month's box was!!! :O I hope you enjoyed reading a bit more about these products, I'll be sure to report back once I've had a chance to try them out!! "Beauty isn't about having a pretty face. It's about having a pretty mind, a pretty heart and most importantly, a beautiful soul"